Kool Tak 144 PADS Clear Foam Adhesive at Simon Says STAMP! KFOC-060601-0144 /0.5 /159C This item is on reserve until If you would like to reserve this item now, you may purchase it now with the rest of your order. We will hold your order now and ship your entire order as soon as this item is back into stock. If you would like your order to ship now, please place this item on a separate order. Success, Kool Tak 144 PADS Clear Foam Adhesive has been shared! Outstanding Performance & High Quality! Use for all Projects that Require a 3-D Effect! Wood, glass, metals, acrylic, fabrics, & more! 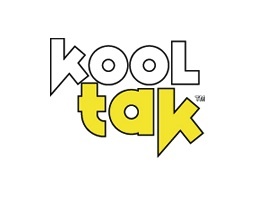 The Kool Tak brand of products was officially launched in January 2012. However, their top quality acid-free double-sided tape products have been used in North America since 2005 and in Europe for over 20 years. Kool Tak tapes are the quick, clean and easy alternative to liquid glues and single-sided tape. The product line is quite extensive and includes multi-purpose double-sided tapes, heat-resistant tapes, foam pads & rolls, colored artist tapes, specialty adhesives and more! If you have been on the hunt for a special type of adhesive, Kool Tak has it!